The Association of Bermuda Insurers and Reinsurers [ABIR] announced that Suzanne Williams will be the new Director of Policy and Regulation, beginning in May 2018. Ms. Williams joins ABIR with nearly 22 years of industry leadership. She presently serves as Head of Reinsurance Compliance at Hiscox Re in Bermuda. She has over a decade of regulatory experience in increasing roles of responsibility at the Bermuda Monetary Authority [BMA], culminating in her role as Deputy Director of Insurance Supervision. In this role, she directed both group and solo entity level supervision, undertaking risk-based supervision of all commercial regulated entities in the insurance sector. While at the BMA, she also served in leadership roles in areas of Licensing & Authorizations and Restoration, Run-off Review & Monitoring. Ms Williams also represented the BMA at working groups of the International Association of Insurance Supervisors [IAIS]. Prior to her regulatory career, Ms Williams served with KPMG in senior audit and audit manager positions. She holds a Bachelor of Arts, Business Administration degree from Clark Atlanta University in Atlanta, Georgia, is a certified public accountant and has achieved several insurance industry designations. 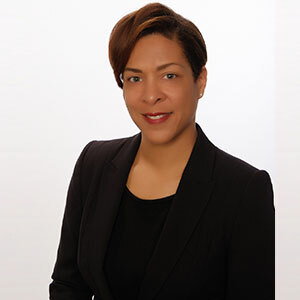 “Suzanne Williams’ industry and regulatory experience make her a solid addition to ABIR, helping to continue its role as an industry-leading organization representing public-policy interests of Bermuda’s international property and casualty insurers and reinsurers that protect consumers around the world,” stated John Huff, ABIR CEO. Kevin O’Donnell, President and CEO of RenaissanceRe Holdings Ltd. and current Chair of ABIR said, “Suzanne’s extensive experience in both the public and private sectors make her a good fit to serve our members. At the ABIR board meeting, Mr. O’Donnell also recognized Ms. Leila Madeiros for her service to ABIR over the past 12 years. “Leila has played a remarkable leadership role for ABIR over her long tenure. Among other things, she was instrumental in ABIR’s efforts on the Bermuda Solvency II equivalency project and for a range of other accomplishments towards ABIR’s policy work over these years,” added O’Donnell. Congratulations Suzanne! All the best in your new role. Congratulation and best of Luck SZW!!!! We’re cheering you on!!! I am soooo proud of you Suzanne Williams! !